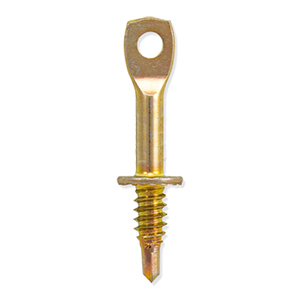 The 750 SDC self drilling eye lag screw is designed to go directly into 16 to 22 gauge sheet metal. The 750 SDC is the hundred pack version of the 750 SD. 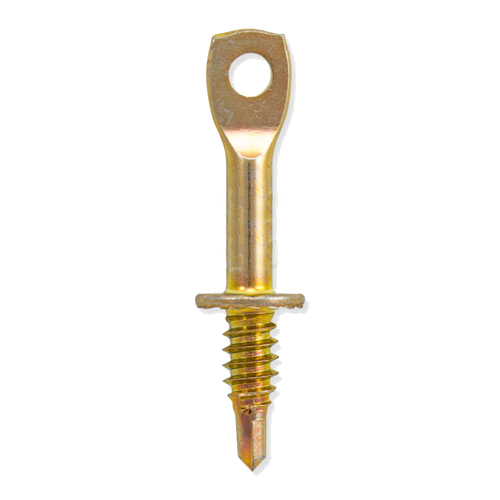 It is the only screw of it s kind with an ICC-ES listing. Drill point to collar is about 3/4 , overall length is about 2 . Pair with a Lagmaster Pole Tool to hang ceiling wire or jack chain quickly and safely from the ground. Designed for interior use and tension applications only.